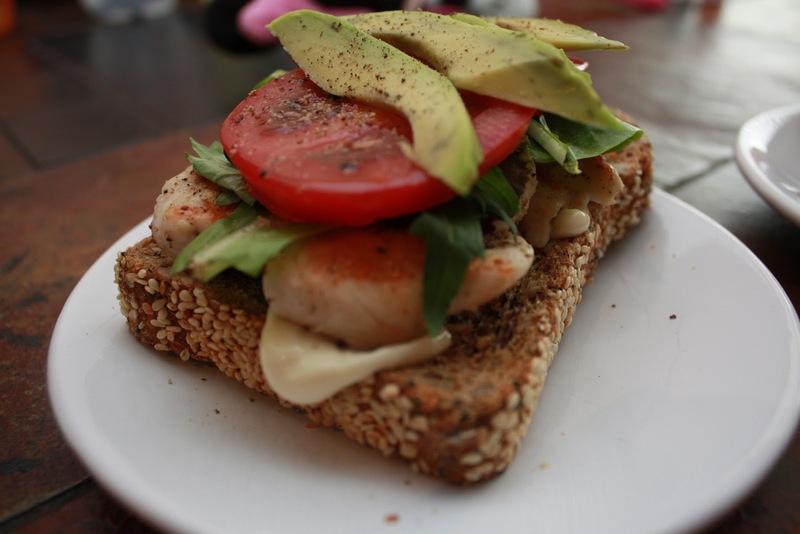 Here’s a relatively quick, easy, healthy (and self-explanatory) lunch for you. Simply grill the chicken breast with a little EVOO and salt and pepper. Toast the bread and top with mayo (and mustard if you like). Or, if you're feeling extra creative, try a thin layer of pesto or mango chutney. Add half breast of chicken and top with tomato, avocado, salad greens and S&P. Enjoy. Its gonna be messy. Wow! Did you make this one up too? You're amazing.